The fully furnished house has 3 air-conditioned bedrooms with en-suite bathrooms, a large double bed loft conversion upstairs (with room for more beds for the little ones) and 9 luxury en suite safari tents set among beautiful landscaped gardens. 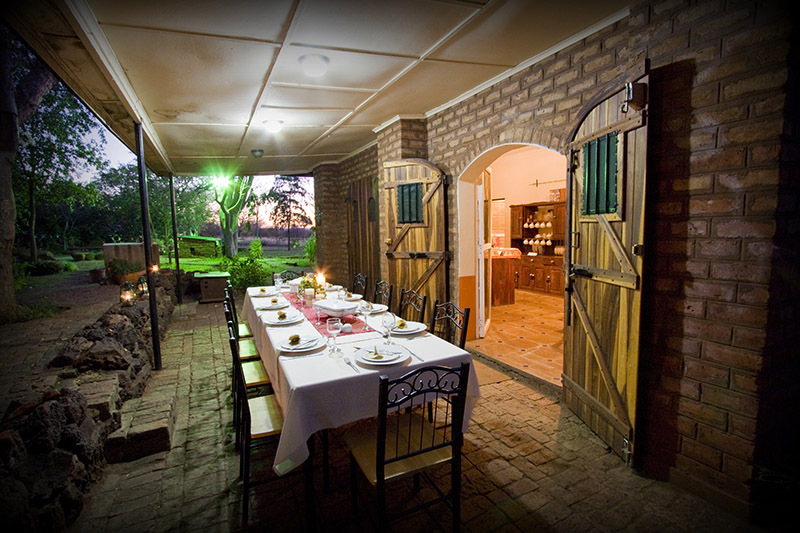 This affordable Livingstone accommodation sits on 50 hectares and also plays host to a natural damn that is full for most of the year, making it an ideal setting for picnics or braais (barbeques). 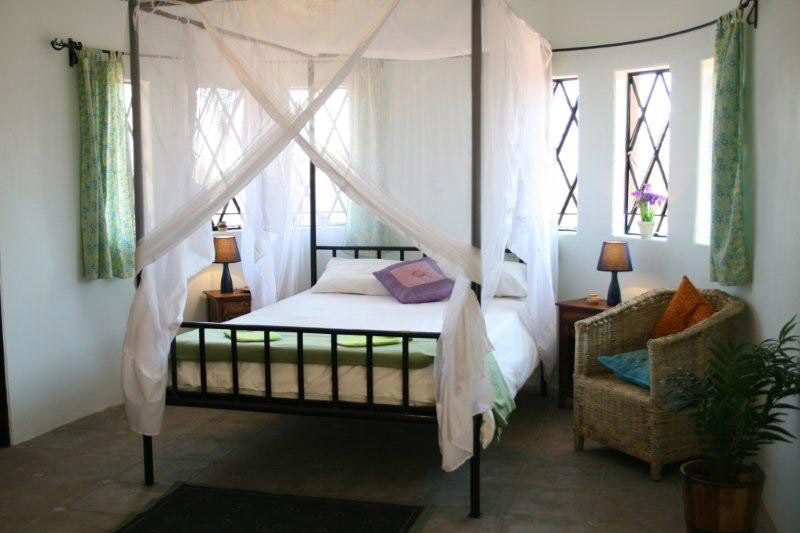 Our Livingstone accommodation sleeps 26 in total with 8 beds in the house and two beds per tent. Ideal for large groups, families or individual bookings, this self-catering camp and guesthouse is ideally located off the beaten track and just a stone’s throw from the mighty Victoria Falls. There is also a beautiful swimming pool surrounded by landscaped garden and rockeries for cooling off. This is the perfect destination for family and friends to get away for a long weekend and enjoy the complete privacy of this idyllic setting. With ample secure parking, self-drive clients are more than welcome. Whether you are looking for a party weekend in Livingstone or a chance to rest and unwind away from the hustle and bustle of town, our Bongwe Livingstone accommodation is the perfect destination for you. The house sits on 50 hectares of private land and is ideally situated for a relaxing and peaceful break form the city, yet only minutes from the falls. The beautiful swimming pool and vibrant gardens create a relaxing ambiance and feeling of tranquillity in this completely private paradise. Our fully fenced camp is perfect for the outdoors types and hiking and adventure are on the doorstep. Feel free to bring your mountain bikes and hiking boots! You can also book any activity Livingstone has to offer through the camp booking office. These include bungee jumping, sunset river cruises on the Zambezi, white water rafting below the Victoria Falls, helicopter and microlight flights over the falls, river safaris and many more. You can also book Bongwe’s very own game drive activity which includes a safari drive in the national park with the options for walking safaris and a visit to see our resident rhinos. 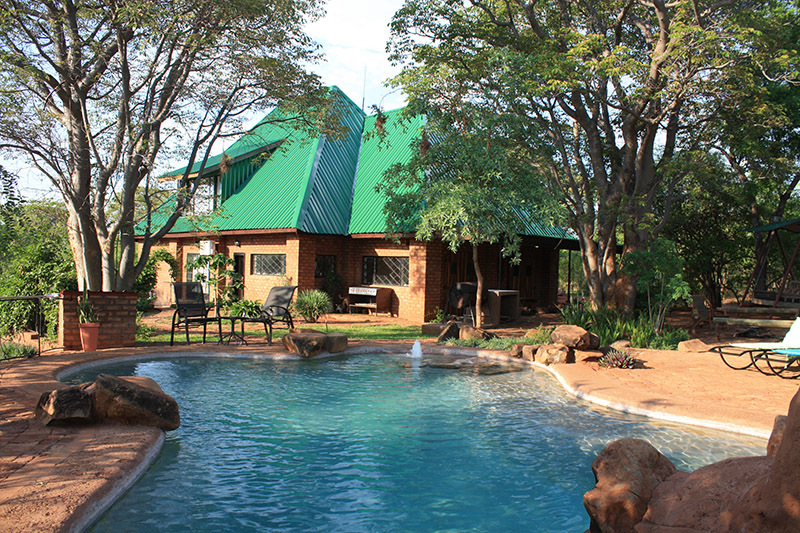 What a great way to spend the weekend with this affordable Livingstone accommodation! Downstairs the house consists of 3 air conditioned ensuite bedrooms, each sleeping two. An additional bed for little ones can be added on request. Upstairs in the large studio space is a large double room. This can easily be used by couples or families and additional beds can be added on request. 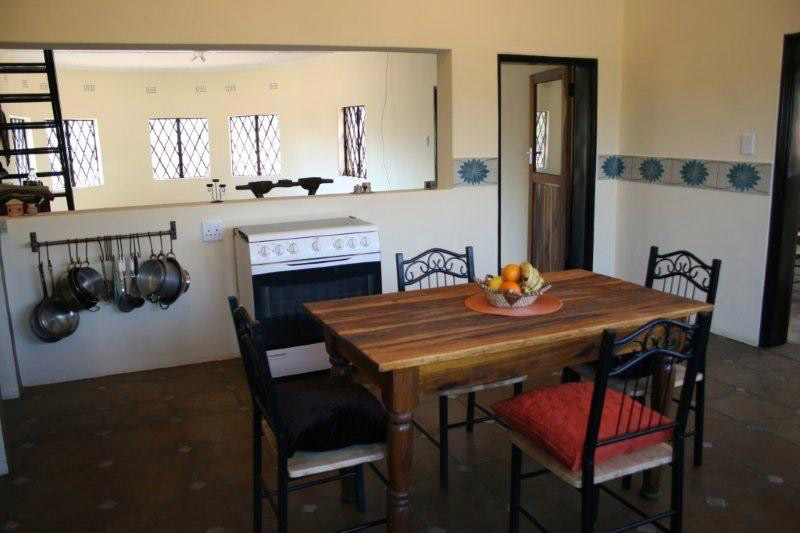 The house also has a large self catering kitchen with all the necessary appliances. This self catering kitchen is also available to those sleeping in the tents. If you wish for this to be made private please contact us so that we can make arrangements. Each tent is en-suite with its own private bathroom and shower with solar geezer for hot water. Each tent sleeps two where an additional bed for little ones can be added on request. The tent has its own secure lock and private decking on the front for relaxing and/or a G&T at sunset. Mosquito nets provide safety from the dreaded in-ear buzz of the mozzie during the night and provides a bite-free sleep. Fans provide much needed cooling during the hot months too. You genuinely would not believe these tents fall under the “affordable” banner when these types of tents are used in lodges and camps that cost hundreds of dollars a night. Truly unbeatable Livingstone accommodation on a budget. Game drives/Walking safaris/Rhino visit (AM, PM or full day), white water rafting, sunset cruises, river/canoeing safaris, bungee jumps, helicopter/microlight flights over the Falls, Livingstone Island (including Devil’s Pool), 5* dining at the Elephant Cafe, Victoria Falls Tours, village tours. Cancellation and prepayment policies vary according to room type. Please contact us for availability of rooms and reservation type. We accept the following payment options onsite – Cash, Visa, Mastercard. For more information or to book a room with us, please contact us and let us know when you plan to be with us.